A place to put my family findings. 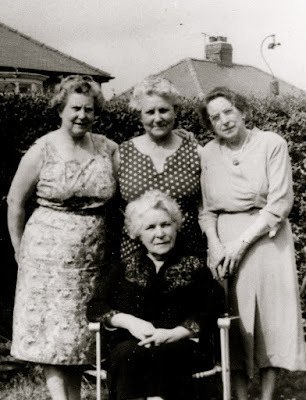 There were four Metcalf sisters. Their names were Minnie, Nellie, Lily and Cassie, the daughters of Joseph and Ann Jane Metcalf (née Knox). Joseph and Ann were married on 29 July 1893, and their daughter Minnie was born later that year. Nellie was born in 1896, Lily in 1899, and finally Cassie was born in 1904. But I know there was a fifth Metcalf child, a boy, named Jack. Jack was born on 13 May 1902 at West Moor, Northumberland. 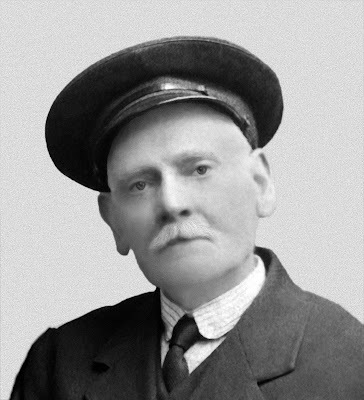 His father was a native of Stanley, Durham, but in his work as a sinker in the pits, he found himself working in many collieries in the local area. Ann, his mother, was from Bedlington. Cassie was born two years later, on 9 February 1904. Jack was obviously jealous of his mother's affections and attention when the new baby arrived and decided he wanted to be nursed too. On 6 July 1904, Jack sadly died of a combination of whooping cough and bronchopneumonia. He was only two-years-old. Thankfully Jack is remembered in my family. Two of the Metcalf sisters named a son Jack in his honour, and it is clear that my own great-grandmother recalled him fondly and ensured he was remembered. "DEATH OF AN ECCENTRIC CHARACTER. – A woman, well-known by the appellation of “Bonny Mary,” and sometimes by the significant one of “Crazy Mally,” died on Wednesday the 12th inst., near Slaley. This poor creature travelled the county of Northumberland nearly fifty years as a sort of privileged beggar, being kindly received and fed by the farmers and labourers of the county, who became accustomed to her frequent visits. She always carried a large bundle of rags, and it is stated by those who knew her well, that during this long period of time she never slept in a bed, but always in some cow-byer or straw-loft. Her story is a melancholy illustration of youthful folly. She was a native of this town, her uncle (with whom it is presumed she resided) being a clergyman here. She eloped with a young officer, but subsequently returned to her relatives, who, however, incensed at her conduct, refused to receive her, and, being thus left friendless and destitute, she commenced her wandering life, bearing vicissitudes and trials rarely felt by those reared as she had been." It's a rather compelling tale, I think you'll agree, and I wondered if I could find anything else on "Bonny Mary." I had a look through the Slaley parish registers and found her burial rather easily. From the Slaley parish registers. Now knowing her name, I was able to try the newspapers again, and found a death notice I hadn't seen before. It was the the standard sort, with an added extra. "At HOLLIN'S HEAD, near Slaley, on the 12th inst., aged 72, Mary Johnson, better known by the name of Bonny Mary; she had been in the habit of travelling the county for a number of years." After learning of Bonny Mary's real name, I quickly found the registration of her death. I was intrigued, so ordered a PDF copy of her death certificate from the GRO, and I have attached a copy below. It gives Mary's cause of death as paralysis, and describes her as a Mendicant - an archaic term to describe a beggar. I write all about the lives my various ancestors led, social history and research I think worthy of a mention. My family history mostly consists of ancestors from Northumberland and Co. Durham, England. I have a lot of heritage in Ireland, as well as Scotland. I don't always receive notifications when someone comments on a post, but I always check emails.